No weeds, no seeds, no smell. Great mulch, soil conditioner and fertilizer. and produces a lovely product, perfect for soil amendment/fertilization. Fully shredded and ready to go in your garden. Top dress your plants, use as mulch, or dig into your soil. 3+ cubic foot, 20 kilo bags (costales) available for just 90 pesos. anywhere from Vista del Lago out to the Racquet Club. grind to a finer and more consistent appearance. and we will bag it up for you. and an area Extension educator for the University of Wyoming, in Worland. 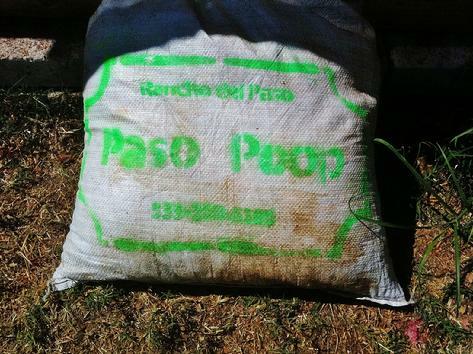 This is what a bag of Paso Poop compost/mulch looks like. Does not include the model or the pillow. STABLES: RPD has 10 stalls with adjoining 12’ X 22' private paddocks, plus an overflow foaling/quarantine pen. 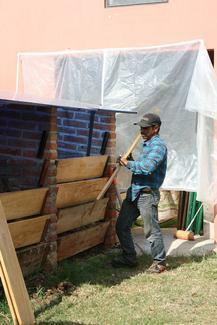 As horses are wont to do, they eat all day, and produce the raw materials for our compost all night. 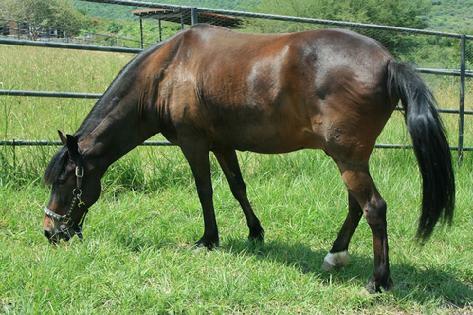 HORSE FACILITIES: Grass turn out areas, carefully rotated and irrigated to maintain green grass year round. The horse are on the pastures several hours a day. In addition they get high quality hay, wheat chaff, chia and flax seeds for their Omeaga 3s, and the underweight ones get a little bit of grain every morning and evening. These are the raw ingredients which become our compost. 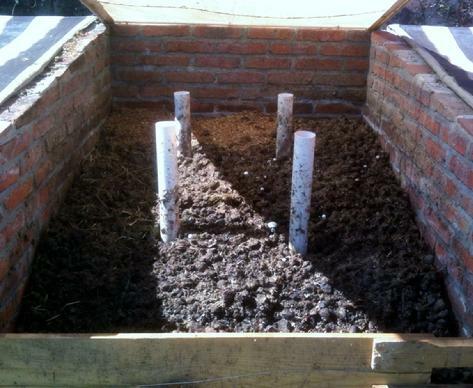 COMPOSTING AREAS: Three composting bins have been set up, Each is covered and has permanent air tubes installed to ensure good air circulation. 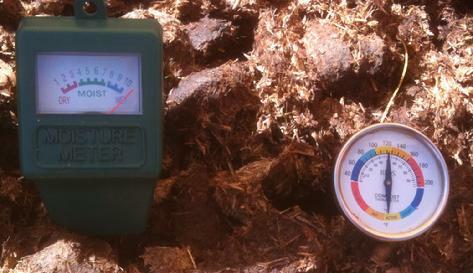 The stacks are monitored for temperature and moisture level for 6-9 weeks, until the material is fully composted. 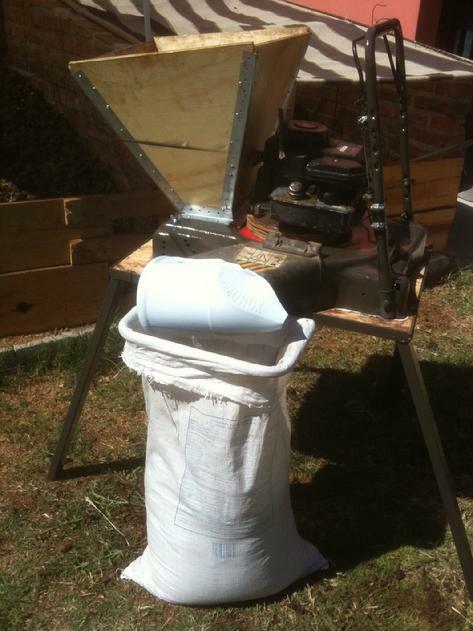 PROCESSING: RDP has recently completed the fabrication of a custom built Paso Poop processing system. 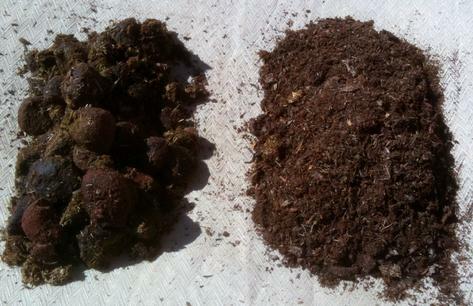 A lawn mower has been adapted to fully shred and grind the composted manure into consistent fertilizer / mulch / soil amendment product. Easy to apply. Looks great, does the job. A Paso Poop factory at work, gathering raw materials. Bagged and ready to go. Genuine Processed Paso Poop. Use it in your garden as a natural fertilizer, soil amendment, or mulch.